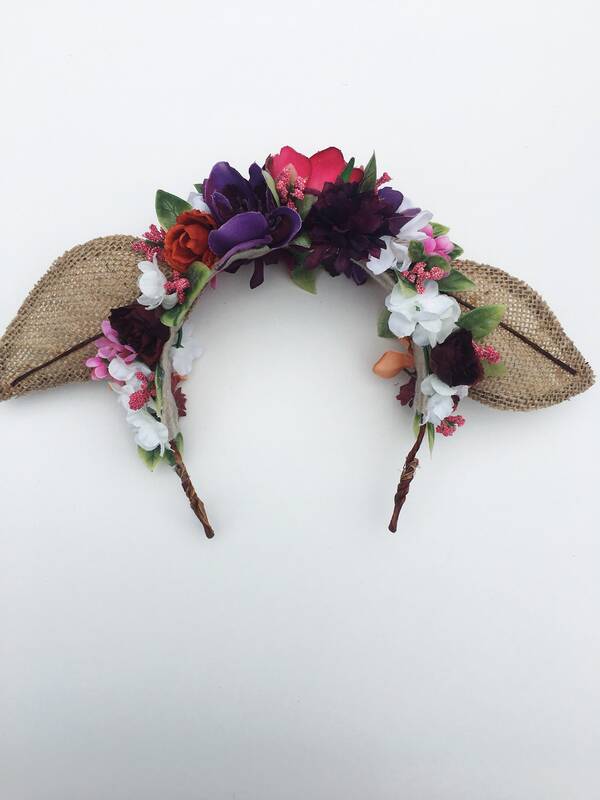 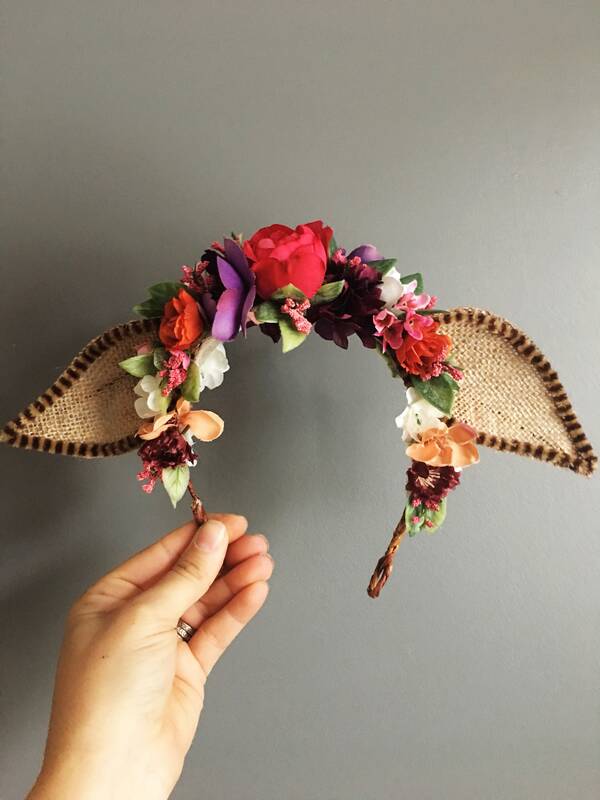 This Deer Ears Flower Crown will definitely amaze. 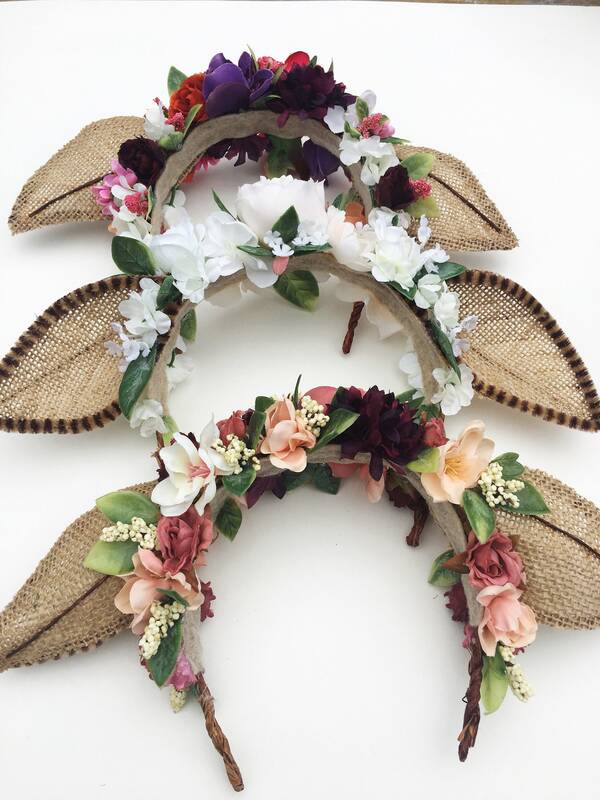 Your will be the envy of the party or of the photo shoot with this one of a kind crown. 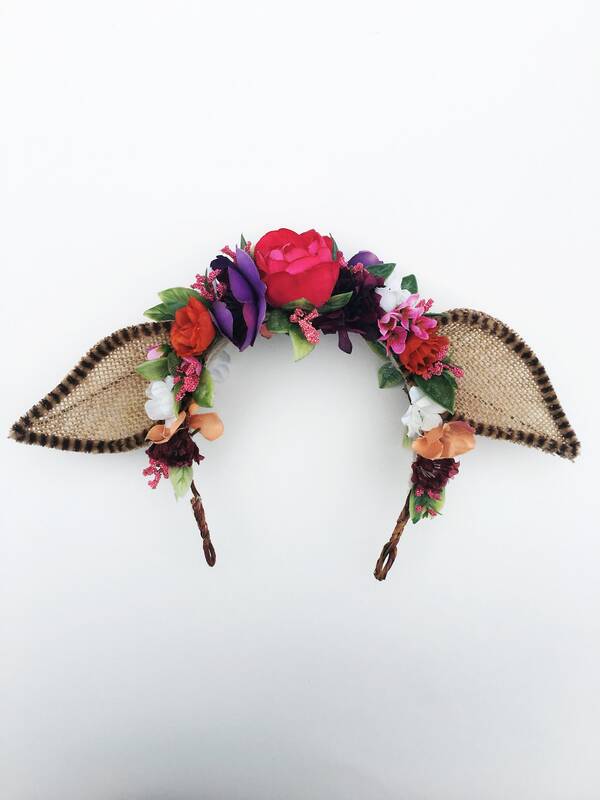 Bohemian Woodland Deer Crown is perfect for photo shoots, birthday girls, or Halloween. 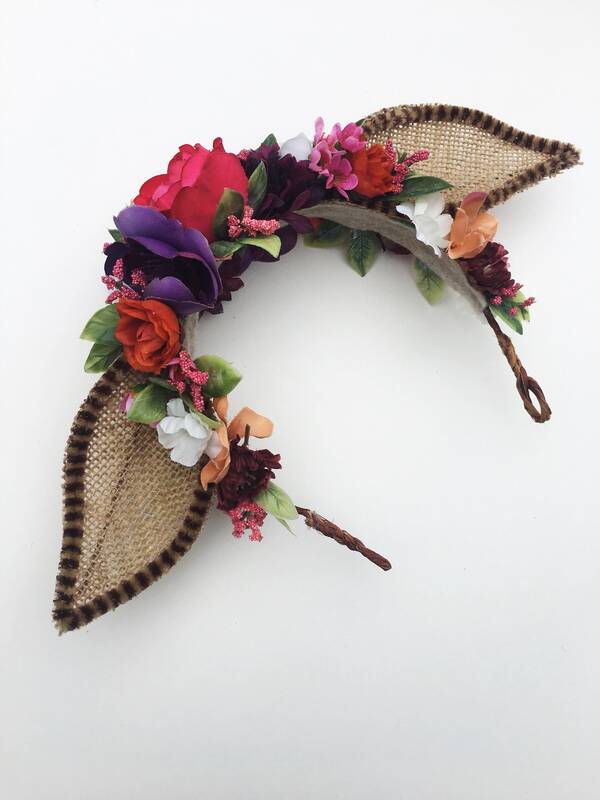 This crown is made to order. 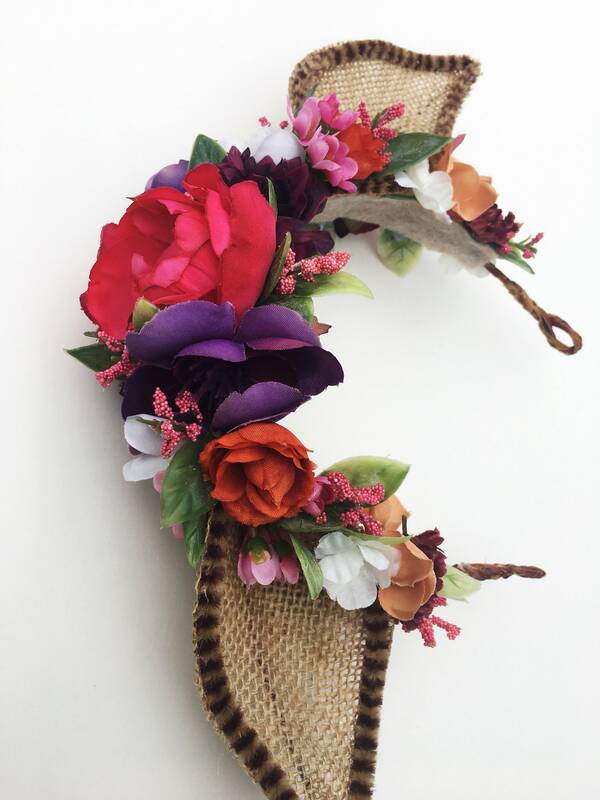 This will fit toddler up to Adult.